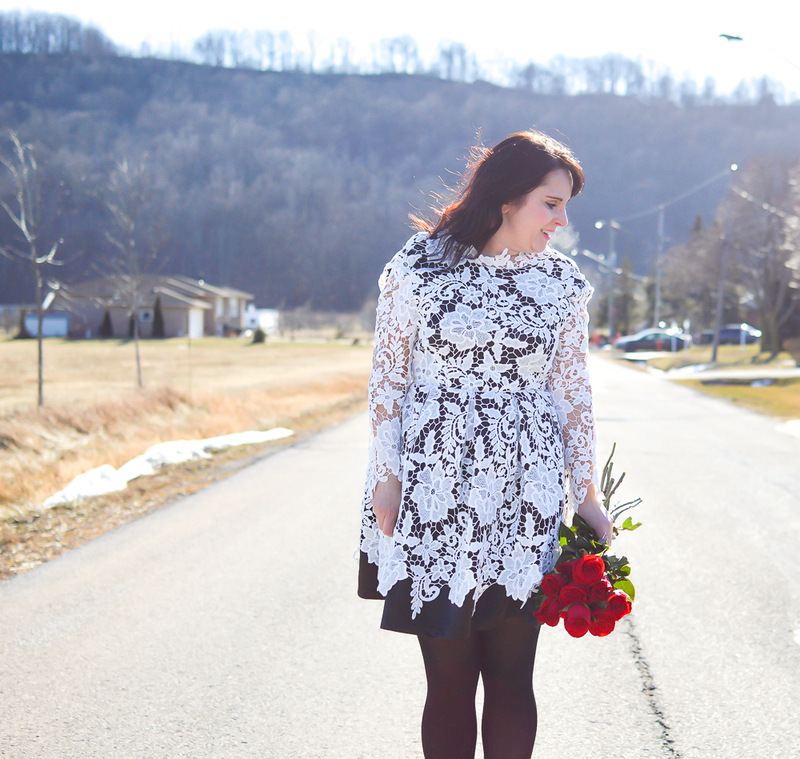 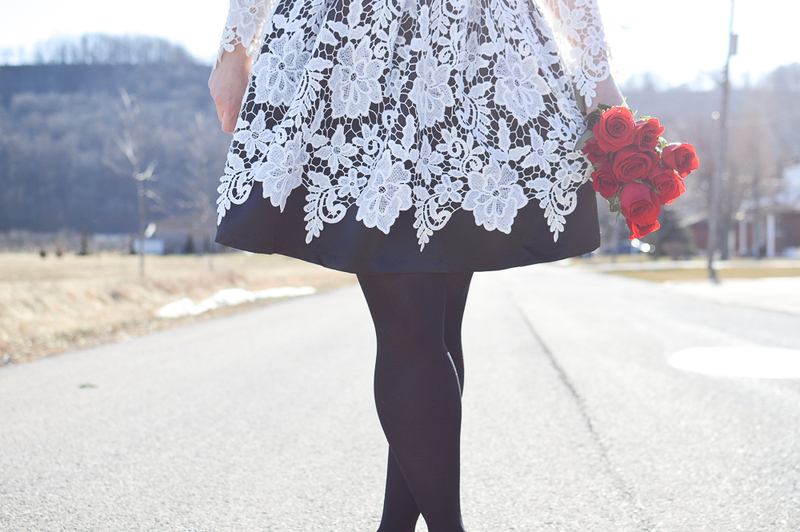 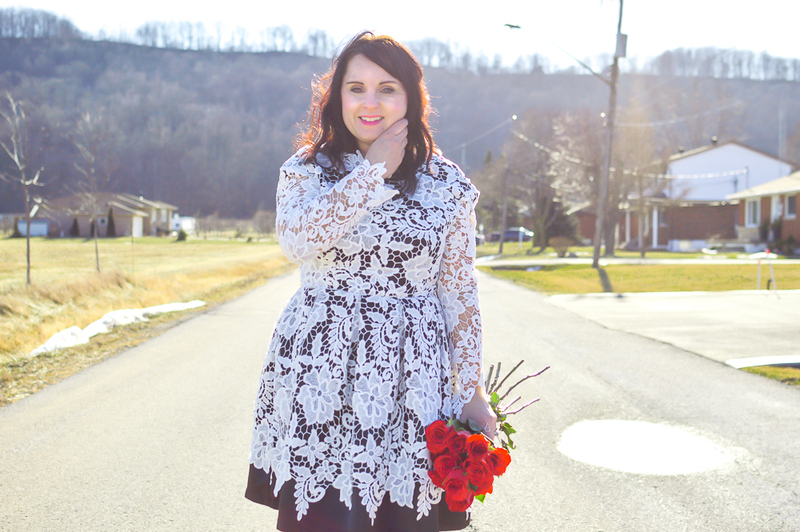 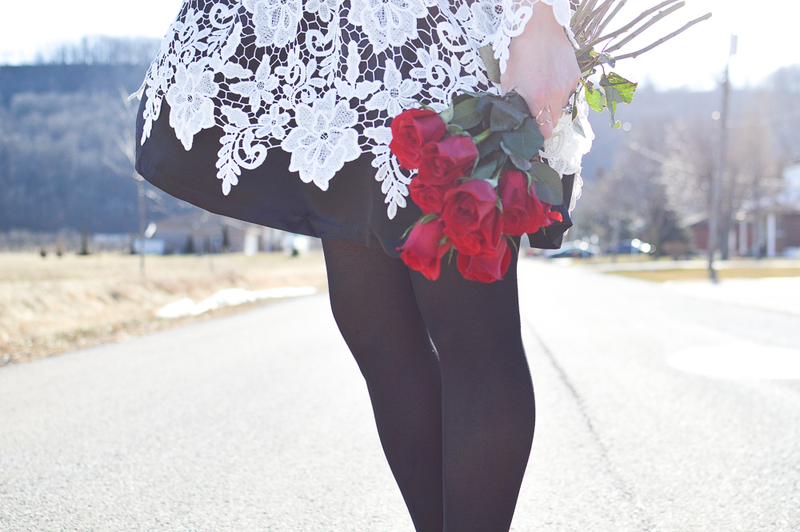 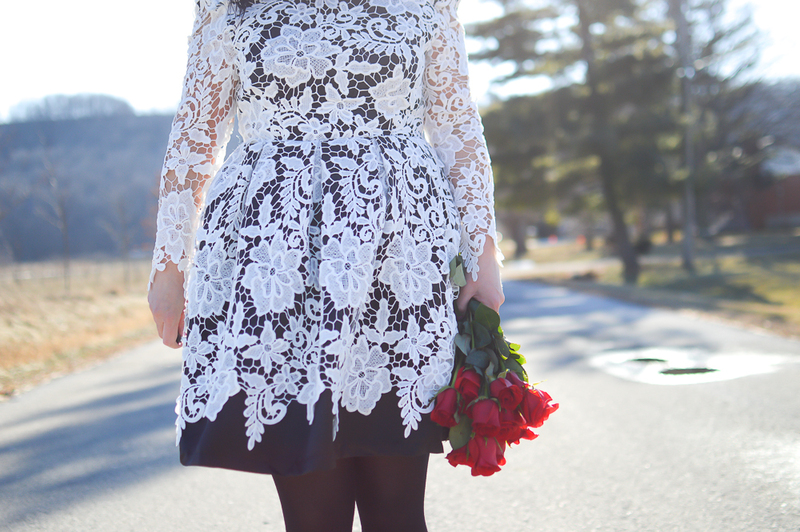 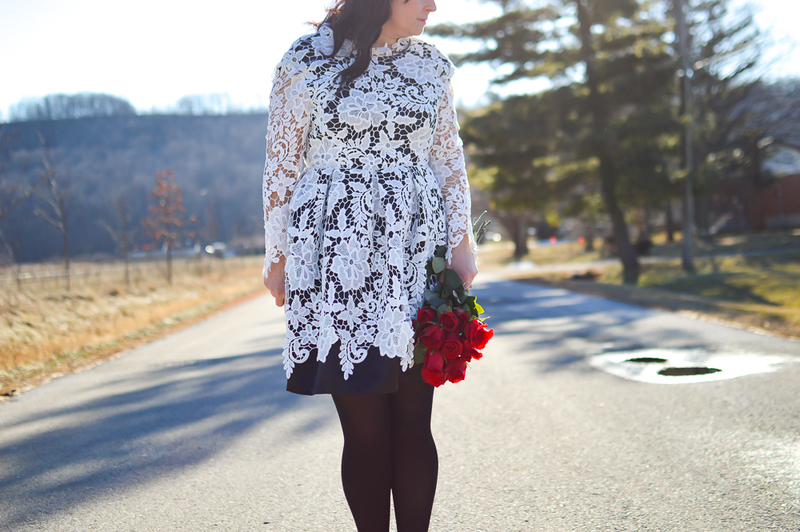 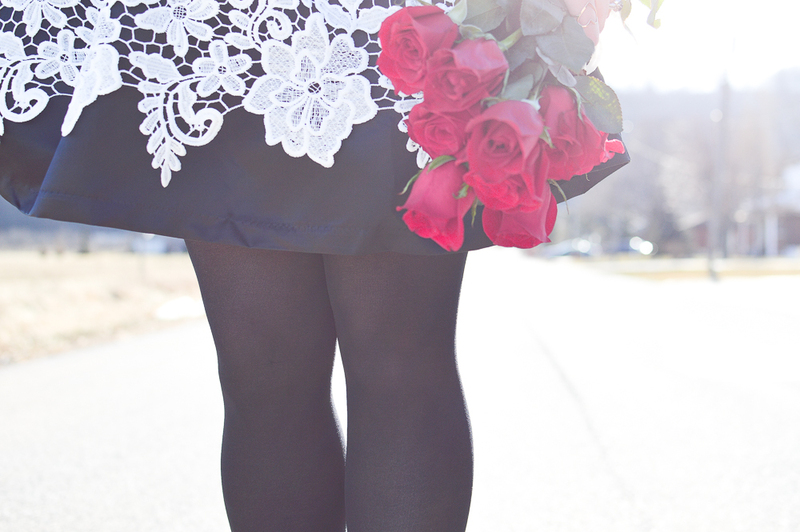 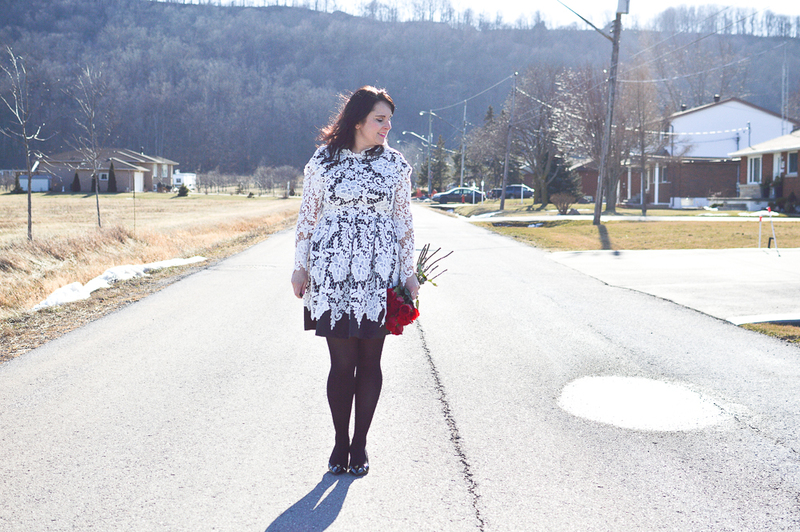 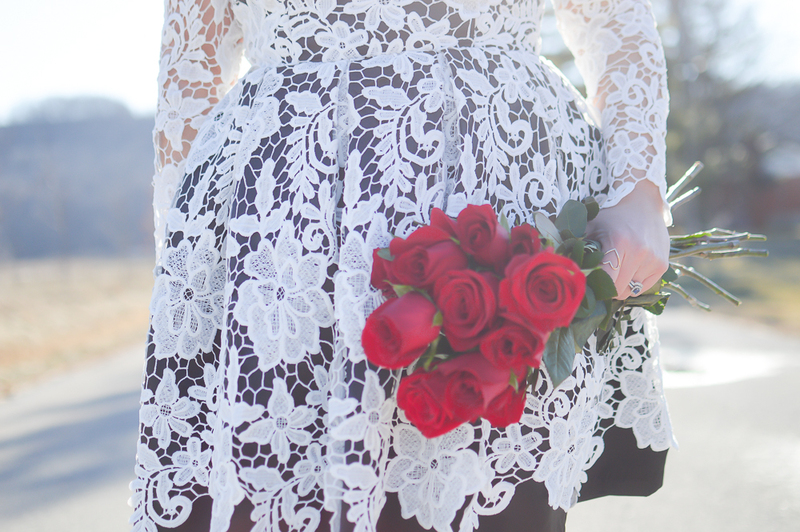 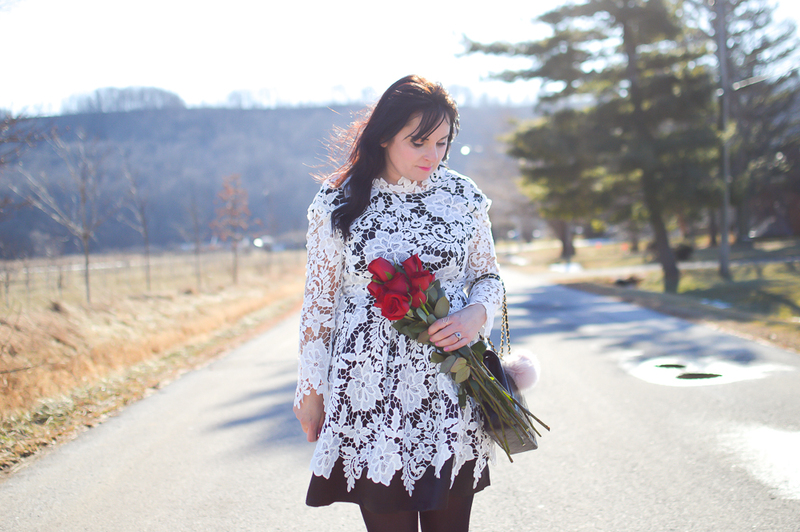 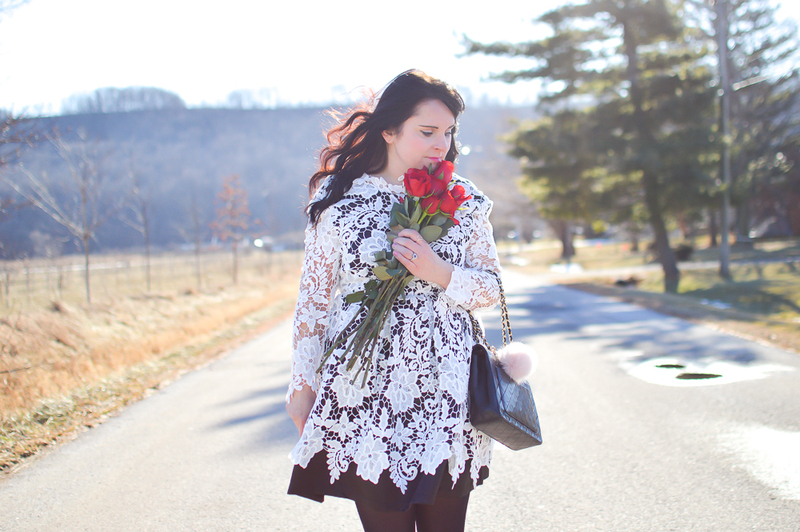 Just a little Valentine inspiration in this fantastic lace dress from She In. 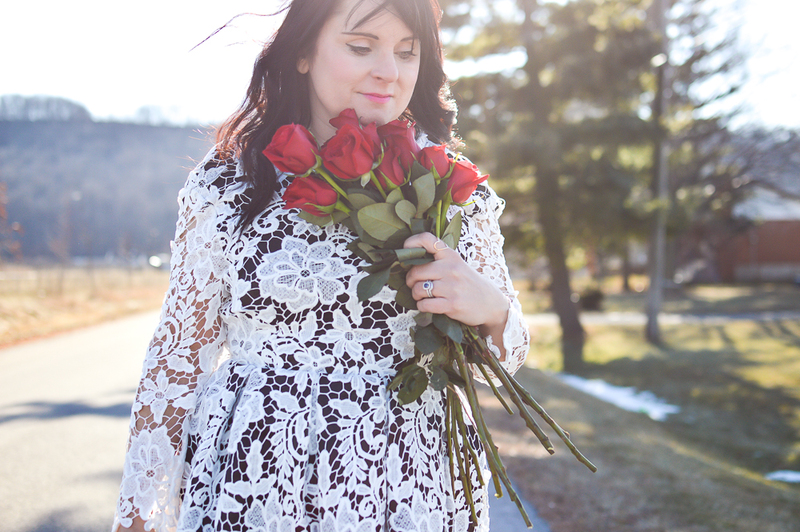 If you read the blog frequently you know that I love the She In site because it truly is a one stop shopping online destination.The prices are so affordable and I am always impressed with the quality. 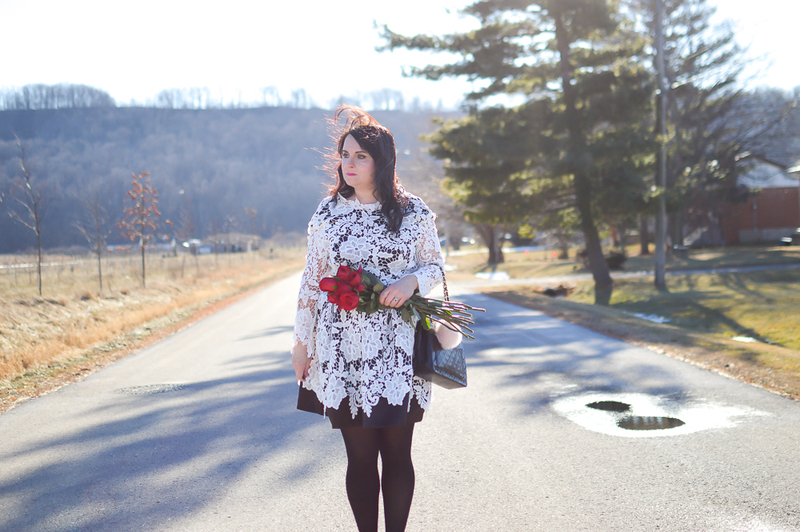 Today's post has a vintage inspired feel and I love how it turned out (even if it VERY cold shooting this look).